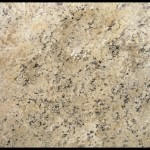 Giani provides a painting system that transforms a laminate countertop into simulated Granite. The resurfacing paint works on Formica tops, Corian, solid surface, wood ceramic and synthetic marble. It is easy to apply and comes with an outstanding warranty. The kits come with 95% of what you need to complete the project with great success. Important: If your tops and backsplashes are sealed along the edges of the walls with a silicon based caulking it must be removed because the new paint will not adhere properly. They call this a paint by number system that can be finished within three to four days. As you can tell by the above images, the final result of using this product will yield a beautiful Granite painted plastic laminate counter. Step1-Thoroughly clean the Formica surface of the tops using a decreasing cleanser such as Formula 409. Step 2- Scrap and remove any “silicon” based caulking and replace it with acrylic caulk. Step 3- Completely check your counters for any chips or deep depressions and fill the areas using the wood patch provided in the kit. The application of the filler can be done with a putty knife or spatula. Leave a small amount of the material slightly above the surface because the patch will sink (or, “shrink”) a little. Once it is dry, lightly sand the area flush with the Formica counter’s surface. Wipe the area clean with a rag. Step Four- Mask off the wall areas around the cabinets, back splash, sink and along the top edge of the dishwasher with the painters tape. Obviously, this will protect them from the different colors of granite paint you will be using. Step 5– Starting by putting on your rubber gloves, shake the primer coat well and stir. Open the can and pour half of the primer into your paint tray. Using the two inch (2”) foam brush, cut in around the top of the splash and where it meets the Formica counter’s surface. This should be done with very narrow strokes. Trim around the sink and cutting boards with the granite paint primer as well. Step 6-Roll three foot long areas with the paint roller starting with the back-splash area first. After applying the primer to the 3′ area, lightly pull the roller over the section to eliminate any lines. Clean the foam brush with water and throw the roller pad away. Allow the Iron Core Primer to dry for a full eight hours. Step 7-Cut your sponge into a one and a half inch wedge (1-1/2”) and a two and a half inch (2-1/2”) size. Step 8-Using the black poster-board, plates, three different granite paint colors and sponges, follow the instructions for applying the paint by numbers system. This is just practice and also color verification for your final steps of painting the Formica a granite colored pattern. Step 9-All of the paints get applied using the sponges in a dabbing motion. You dip the sponge I the paint and then pat it on the paper plate to remove excess liquid. Step 10- Now, it’s time to apply the Granite paint colors to the Formica counter. Do this in three foot sections. Around the corners of the backsplash use the small section of sponge placed onto the end of a pencil for dabbing. You can also use the stuff artist brush for applying the paint in those tight, small areas. Allow the paint to dry for four hours. After it’s dry if you want to add more depth in color and accents, lightly apply more of the granite countertop paint and then let it dry for another four hours. Step 11-Lightly sand any places that are sticking up on the top. You can feel them when you run your fingers over them. Step 12-Stir the clear topcoat and pour a small amount into a clean roller tray. First apply a thin coat using the foam brush in the areas around the top of the backsplash. This should only be a half inch wide. Apply the granite paint’s clear-coat in large sections stopping where there are natural breaks. Complete small counters or island countetops because this keeps the leading edge of the clear finish wet and will eliminate streaks. Roll the Formica backsplash as well. Do not re-wet the roller while painting the backsplash. This will guard against runs. Step 13- Brush out any runs in the clearcoat. Step 14-Wait for four hours and then apply the second clear top coat to your Formica Granite painted countertop. Step 15-Just after applying the second coat, score the masking tape along the wall with the razor knife and very gently remove it. This is no place to be in a hurry because you do not want to pull off any of the granite paint. Step 16-Touch-up around the sink and backsplash with the iron primer and then clear coat it. Step 17-After the final topcoat has dried, caulk around the sink with “clear” acrylic caulking. You must not omit this step. If you need to take a break while applying the different coats of the granite paint either wash the sponges out with water or place them in a plastic bag. You must not work with this material in temperatures below seventy three degrees. After the fourteen day curing period, use the specially formulated countertop cleaning solution designed to clean painted Formica tops. Once the final coat has been applied, the countertop paint will not be fully cured for fourteen (14) days. During that time period you should not allow “any” liquid to form on the counter for long periods of time. Keep them wiped down with a damp cloth and as dry as possible. The Giani company provides a money back refund if you are not pleased with the countertop resurfacing paint system for transforming a Formica top into looking like granite. From the video’s I’ve watched and the images I’ve seen, I cannot tell the difference in the way the painted counters look in comparison to real granite counters. By visiting their website you will find that the paints are available all over the United States of America. Does the finish last like the original laminate? I think the tops look beautiful, but are they durable enough? Hi Rita, here are a few questions and answers about the product from the manufactures website. Yes, just like granite and Formica -it’s not recommended for cutting or chopping. The difference – is – if ever necessary – you can renew GIANI quickly and easily. By all appearances it’s a very durable product. When they say it wall last the same as a conventional counter that’s a great statement to have confidence in. My wife used this system for painting. Countertop plastic laminate would have been more durable, but a hole lot more expensive. Periodically we have to do some touch-up on the edges, but for the most part everything has has held up fine for about two years now. Does Giani come in different color options ? This is an excellent article and video. After finding this information, I have decided to give this a try on two of my small bathroom counter-tops. If they turn out good, I am going to paint my kitchen and master bathroom counters also. I only have a 3′ long Formica countertop to paint. Is there an inexpensive/small kit that I can get somewhere? I am considering refinishing my formica counter tops. What is best and will it be tough and strong. Looking for white.